According to United States Code (U.S.C.) Title 4, §7, (c) “No other flag or pennant should be placed above or, if on the same level, to the right of the flag of the United States of America…” This law reserves the place of honor to the national flag while on U.S. soil, territories, military bases, ships, etc. (with exception granted to the headquarters of the United Nations in New York). Most Americans know this law even if they don’t know where to find it. Its intent is to prescribe the prominence of the symbol of the United States over that of “States, cities, … localities, or … societies.” It is this law that defines the order of placement of flags when flown in front of buildings, on staffs inside churches and other buildings, even while carried in parades. What most people don’t know however, is that there is a notable exception written into federal law. 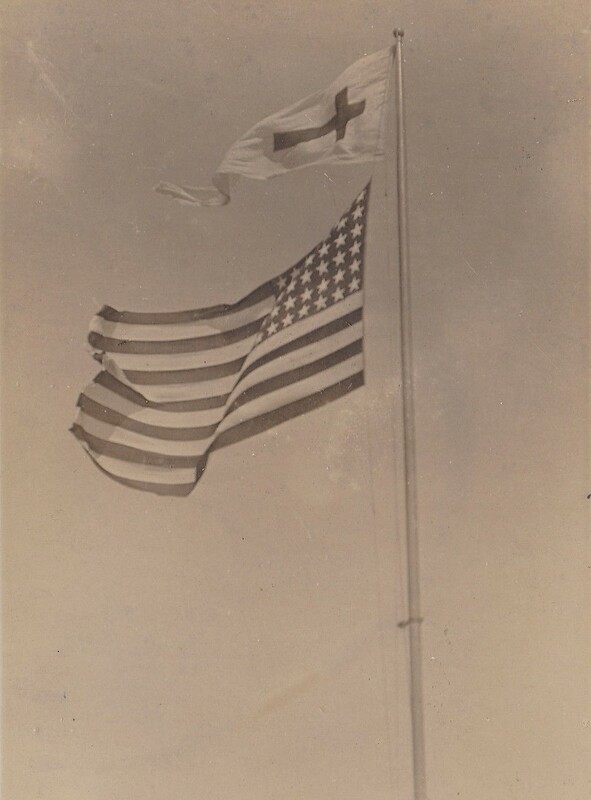 An exception that permits one thing -one pennant- to fly in the place of prominence above the flag of the United States. This law essentially permits the emblem of the United States of America to yield prominence to something else. 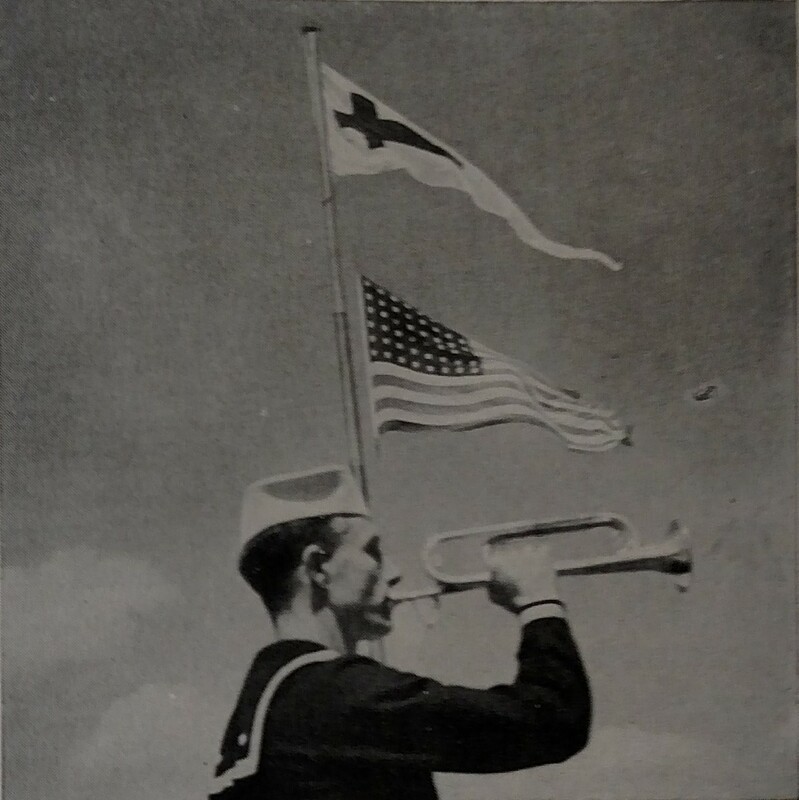 The flag of the United States yields only to church services aboard Navy vessels. So by federal law, this one exception exists that places the identification of the presence of the chaplain and the performance of worship above the emblem of the United States of America. 1Clifford Merrell Drury, “The History of the Chaplain Corps, United States Navy, Vol. 2, 1939-1949.” NAVPERS 15808, pg. 123. 2 Clifford Murray Drury, “The History of the Chaplain Corps, United States Navy, Vol. 1, 1778-1931.” NAVPERS 15807, pg. 229. 4 Facebook Messaging conversation between author and Chaplain Jonathon Maloney, 30 September 2017. Posted on 30 September 2017, in Chaplaincy, History and tagged Church Flag, Divine Services, Flag, MIlitary, Navy, Old Glory, Worship. Bookmark the permalink. Leave a comment.